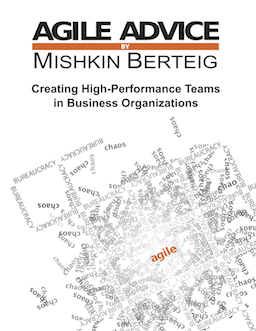 This page contains a number of links to recommended web sites, books or tools relating to Agile Work. This page will be updated from time-to-time and as this is done, announcements will be posted on the Agile Advice blog. As such, this page will always be “under construction”. If you have links to suggest, I will examine them and put them up in my own time. Please feel free to post suggestions. Project Management Resources – by Michael Greer. I don’t agree with everything on this site, but if you are looking for traditional PM stuff this is a good place to go. Evolving Excellence – by Kevin Meyer, Bill Waddell, Dan Markovitz NEW! Slow Leadership – the opposite of Agile? The following sections of material are based on the Agile Work Cheat Sheet. I need advice on how many repeats of ‘given / when / then’ entries are best put in acceptance criteria, in the same scenario. 3. Given that the delete button has been clicked and the confirmation popup is displayed, when the yes (confirmation) button is clicked, then it must be validated that the relevant store type is not linked to a store. 4. Given that the yes (confirmation) button has been clicked, when the relevant store type is verified not to be linked to a store, then it must be deleted from the database table and a success message should be displayed. 5. Given that the yes (confirmation) button has been clicked, when the relevant store type is verified to still be linked to a store, then an error message should be displayed stating that the type is still associated with a store’s information and no changes are made to the database. This seems WAY too wordy. Please advise.. Thanks for writing. I strongly recommend that acceptance criteria not be written down in long form anywhere. Instead, use a word or two for each acceptance criterium and then use ongoing conversation with the team as well as automated acceptance tests (e.g. Specification by Example) to share and capture important details. You are right: it IS way too wordy. I have a possible addition to suggest for your agile resources, hopefully you’ll find it useful for your readers!